Durgesh Kumar Mishra, a resident of Madhya Pradesh, has been identified by the Uttar Pradesh Special Task Force as the mastermind of a gang involved in preparing fake Aadhaar cards by cloning fingerprints. Lucknow: The mastermind of a gang, which made fake Aadhaar cards, was arrested by the Uttar Pradesh Special Task Force in Lucknow, officials said on Wednesday. 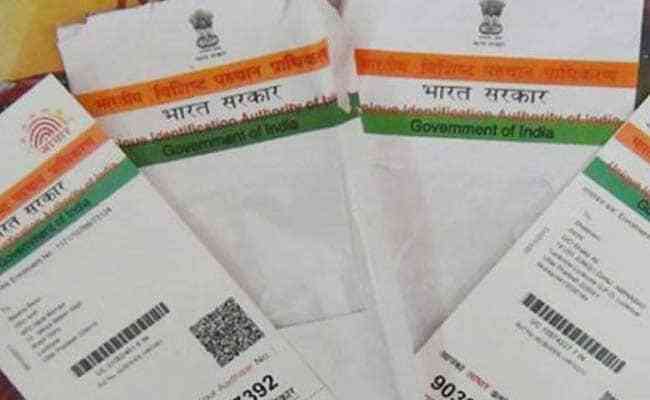 Durgesh Kumar Mishra, a resident of Madhya Pradesh, has been identified as the mastermind of the gang involved in preparing fake Aadhaar cards by cloning fingerprints to bypass the Unique Identification Authority of India (UIDAI) norms, a senior Special Task Force (STF) official said. During interrogation, Mishra told the STF that he was an assistant manager in a private firm authorised by the UIDAI. He facilitated the technique for preparing fake fingerprints and tampering client software to Saurabh Singh who was arrested earlier in Kanpur. On September 10, the STF had busted the gang, which used to make fake Aadhaar cards, with the arrest of its 10 members. "The gang used their own fingerprints and retina scans on the fake Aadhaar cards. They resorted to this method to complete the biometric parameters," the official said. During the raid in Kanpur, the STF had seized papers with fake fingerprints, and finger and retina scanners. The STF swung into action after a senior UIDAI official lodged a police complaint in Lucknow, the STF official said.